Crab season means more Dungeness crab on Bay Area menus, but it could also mean more injured whales. The cetaceans get entangled in crab trap lines, which is why the federal government is teaching crabbers to become first responders. 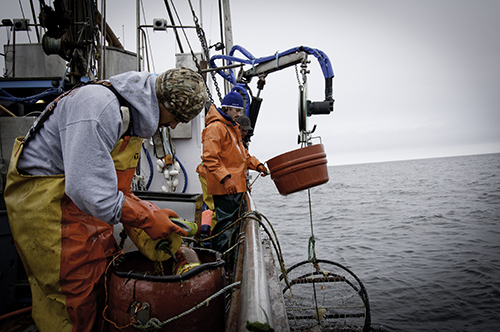 Geoff Bettencourt is a fourth-generation fisherman. From his boat, The Moriah Lee, he points to an area in Half Moon Bay. "The whales have been so thick in here. Like close, where they’ve never ever been," says Bettencourt. And that can pose a problem. Crab traps sit on the ocean floor, attached to a buoy on the surface with a long rope. And that rope can get caught on a whale's fin or tail, or in its mouth. 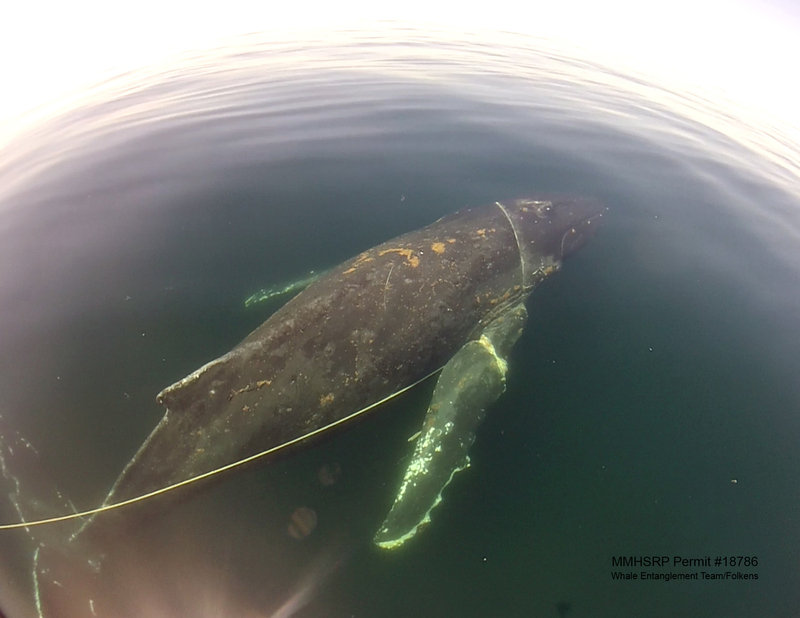 This year, there are already more than twice as many whale entanglements reported as five years ago. And local fishermen are eager to help out. Inside a yacht club in Half Moon Bay, nearly 100 fishermen gather in person and by video conference to hear a presentation from Justin Viezbicke, with the National Oceanic and Atmospheric Administration. "You guys are out there all the time," Viezbicke says to a group of about 20 Half Moon Bay fishermen who attended in person. "So, who better to help us with these situations and give us more information than the guys that are out there on the water all the time seeing these things?" It's illegal to disentangle a whale without federal authorization. So, Viezbicke is asking crabbers to collect data like the location of the whale, the nature of its distress and how fast the animal is moving. Tom Dempsey is with the Nature Conservancy, which sponsored Tuesday’s session. "I look at this training much like a community CPR course," says Dempsey. 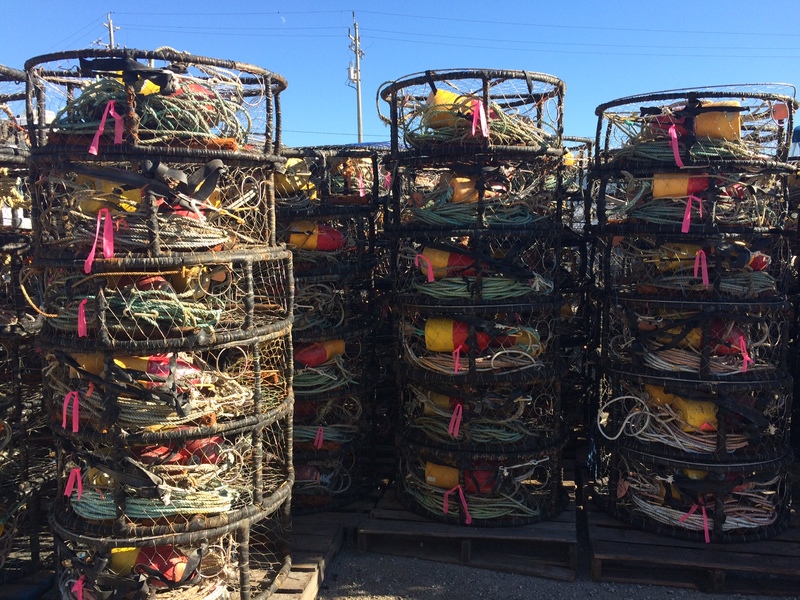 Hundreds of crab pots sit in Half Moon Bay, which Geoff Bettencourt will deploy when the season starts November 14. Dempsey explained that a network of fishermen, who know how to document sightings, is as important as the state's three certified rescuers. "That’s what this training is about," says Dempsey. "Building that community network of people who can initiate a more advanced entanglement response when they do see that rare entanglement." And the crabbers will be out there, starting Nov. 14.